With vodka’s help everything is edible in Russian cuisine! 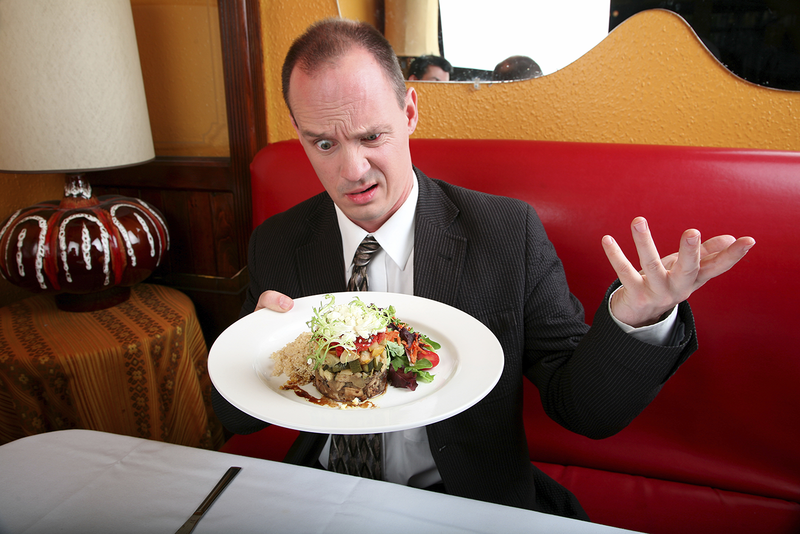 Foreigners find some Russian dishes to be unpalatable and literally difficult to swallow. Sometimes, the strange combinations and unusual ingredients can make you cringe. At the same time, however, isn't it interesting to try dishes that are eaten at every Russian feast? Go ahead, don’t be afraid! This most extravagant Russian salad is an elegant combination of salted herring, mayonnaise, boiled carrots and potatoes, all stacked in layers. `Herring under a fur coat’ reveals a Russian chef’s innate sense of humor, and many Russians agree that this dish makes an excellent hors d'oeuvre to go with a couple of shots of vodka. This dish is not the healthiest, but it’s definitely on top of the degustation menu. Surely everyone has seen videos of how foreigners taste Russian food, and they’re all shocked that meat can be prepared as a jelly. Russian housewives spend much time by the stove preparing this dish and sometimes it happens that the jelly doesn’t cool. This dish is often eaten cold, and horseradish is used as a sauce. If you don't eat meat, try zalivnoye – it’s similar to holodets, but with fish. Russians can basically pickle anything for the winter. Cucumbers, tomatoes and peppers are the most popular vegetables for pickling, and everyone has his or her recipe. The most important thing is to make sure the can doesn’t explode. Russians also love pickling mushrooms, cabbage, and even apples. At every feast you'll see a person with a shot of vodka in one hand and a fork with pickled cabbage or gherkin in the other. We now go to main dishes. When the weather is warm, Russians usually have okroshka, which is similar to the Olivier salad: finely sliced potatoes, cucumbers, carrots, and greens. You can also add radish and basically any other vegetable, as well as sausage or boiled chicken. The only difference is that kvas or liquid kefir is poured over the salad. Seems like an impossible combination, right? But Russians love it. Everyone knows the most famous Russian soup, borsch. However, if you don't add the beets but just boil the cabbage (or sour cabbage) in a meat broth, then you'll have shchi. Russians don't stop there, however. Green shchi is a hellish brew made of sorrel (do you know this herb?) and/or spinach. A necessary embellishment to the dish is half a boiled egg. And you know what? It's delicious. In order not to frighten you, we won’t expand on all the soup varieties - with pickled cucumbers, various cereals, the pea soup with smoked meats, and etc. We'll go directly to the main courses. Many people are already familiar with pelmeni, the Russian ravioli with meat filling. They’re usually made with a mixture of minced beef and pork, but farmers and hunters often experiment with the filling. In delicacy stores and some restaurants you might find pelmeni stuffed with elk meat (which are difficult to distinguish from the normal ones), beaver meat, boar meat and duck meat. Also, various fish fillings have already become classics. Let's talk about alcohol drinks, without which a Russian feast is unimaginable. Remember, we were saying that kholodets is usually eaten with horseradish? Now imagine that horseradish is used to make an alcoholic infusion that one drinks! Actually, you can also drink an infusion made of spicy peppers, various herbs, and berries. Russians have learned to make alcoholic drinks practically out of everything. But don't ever try samogon (moonshine)! While most infusions contain 40-degree alcohol, samogon may have 70-degree! It’s brewed at home with a special device and you’ll never know what it's made of and how. After drinking it you won't remember anything and may even wake up in an unfamiliar place. But remember: Russians never abandon a person who drank too much.